Each week we give a review of the main headlines and deals from the past week, allowing you to grab the notes and perspectives that may have slipped through your baseball net. The Tigers landed the biggest free agent splash thus far, handing Jordan Zimmermann a five-year $110m deal. Here are my key takeaways from the offseason’s largest deal so far. The Blue Jays added J.A. Happ to their rotation on a three-year $36m deal. The move all but signals that David Price will not be returning to Toronto this winter. Oakland and Houston agreed to a trade swapping SS/2B Jed Lowrie for right-hander Brendan McCurry. Lowrie has now been traded from the Astros to the A’s twice. The A’s are also thought to be attempting to move 3B Brett Lawrie. Our writers go round the table to give their thoughts on what one deal their favorite teams should make this offseason. Patrick Brewer says Pedro Alvarez is the ‘most interesting’ non-tender candidate. Here are five trades with think should happen at this year’s winter meetings. With, seemingly, every team interested in signing prized free-agent David Price. We offer the five best teams in a position to add Price. Adam Brown believes Tyson Ross and Starlin Castro are amongst the most interesting trade pieces this offseason. Podcasts on our podcast network continue to run throughout the offseason. You can find them all here and make sure to send in your questions via twitter or email and them answered by each of our hosts. We also have some exciting news coming down the line with regards to our podcasts. As we hit the winter meetings we’ll be adding two more shows to our lineup. Make sure you’re subscribed to hear the new shows before anyone. Also, we’re still adding new writers as we go through the offseason. You can begin your baseball writing and talking career today with an MLB.com official affiliate. All the information and positions are available here. Buster Olney continues his countdowns of the top-ten players by position. Tony Blengio believes the San Francisco Giants should pass on Zach Greinke. I respect his view-point, and he makes some very valid points in his piece. However, I firmly disagree. Always a joy when Keith Law begins to ramp up his Draft coverage. Law shares his top-40 prospects at this point of the offseason. Boy, was that three links in a row for the World Wide Leader in sports integrity? What am I doing? A fascinating look at Wei-Yin Chin and the art of changing speeds. 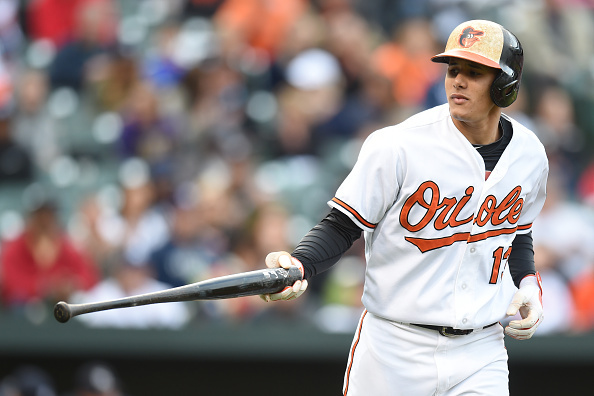 Spencer Bingol digs into the numbers to explain Manny Machado’s breakout offensive season. I truly believe Machado ranks in the top-ten of “dude, I want that guy on my team so I can watch him day in and day out.” The ridiculosu defensive plays and a 134 WRC+ in 2015 make him an extraordinarily fun player. Let me know in the comments section below who you think is the number one “dude, I want that guy on my team so I can watch him day in and day out.” let’s leave Mikey and Bryce out of this one. Previous Previous post: Writer’s Roundtable: What one offseason move would you like your favorite team to make?